Try to arrange balls of the same color in vertical horizontal or diagonal lines. To move a ball click on it to select, then click on destination square. 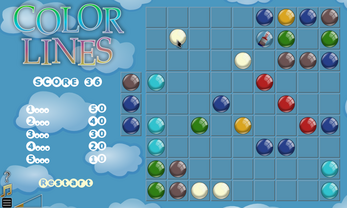 Once line has five or more balls of same color, that line is removed from the board and you earn score points. After each turn three new balls randomly added to the board. 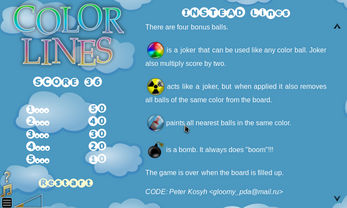 There are four bonus balls.